At The Plumbing Pro – We’re plumb proud to be your plumber and promise always and only great service and quality products for less! Looking For Professional Drain Cleaning Service In Independence? Are you clogged? 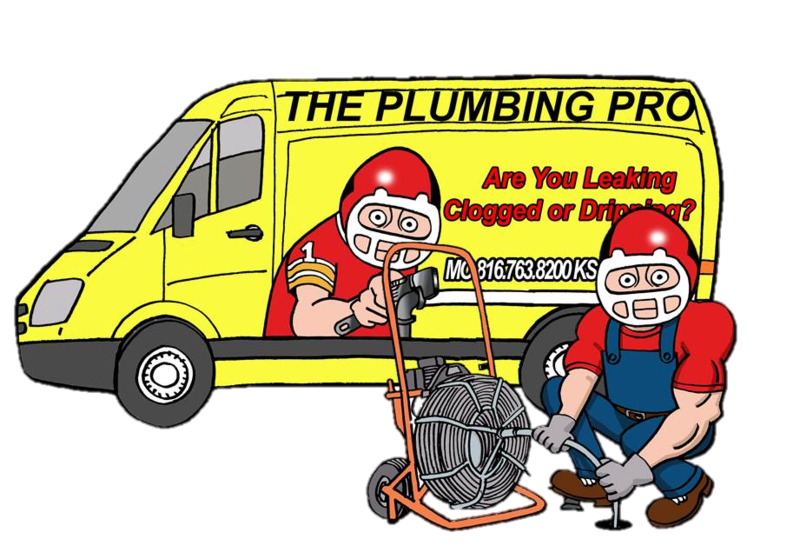 For over 35 years, The Plumbing Pro has been offering professional residential and commercial drain cleaning and rooting services in Independence, MO. We have worked quite hard to become Independence’s most recommended drain cleaning professional. Whether your home is suffering from mineral build up due to iron piping or clogged by tissues, roots and other debris. We can help. The Plumbing Pro help you unclog your line and determine just what the next step should be. Before you try your own hand at clearing clog with DIY/ online LIFEHACK remedies, remember many of these tips can create even bigger problems for you pipes in the future. Call The Plumbing Pro at (816) 252-3332 and let our professional staff handle it and maintain the integrity of your plumbing system. When you call The Plumbing Pro, we will send out a well-trained, professional plumber. They will evaluate the plumbing situation and repair your drain line. Our snake and rooter equipment can go out to 100 feet (125 in special situations.) And just as important most drain cleaning projects are completed in one hour. So, you can get back to your life. We are dedicated to reducing the stress of a clogged drain and offering a fair price. Your satisfaction is what we are seeking. We’re plumb proud to be your plumber and promise always and only quality service and products for less! LS, Kansas CityThank You, Terry! “I have used the Plumbing Pro several times. Once again Travis did an outstanding job. I would recommend using them when you need the job done right.” 7/31/2018 Yelp! A. Barzee, Kansas City MO"Very Pleased"
We accept all major credit cards and offer financing through Wells Fargo and Greensky. Are you committed to serving residential and commercial customers of our community with integrity? Do you like solving problems and smiling customers? Then we would like to talk to you about working for The Plumbing Pro, call Rayna at 816) 763-8200 or (913) 782-9669.